…So yeah, this is kinda late. lol My fault, I hadn’t been uptown for a bit, so I wasn’t able to grab my copy. 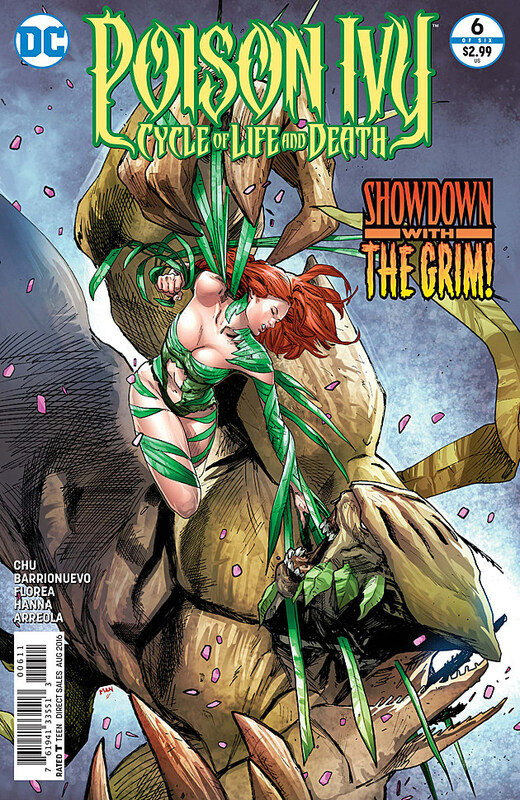 Regardless, I have it now, so let’s go over my thoughts regarding Poison Ivy: Cycle of Life and Death #2. So, as anyone who read last issue knows, we’ve got a murder mystery. And, as is typically a good move in murder mysteries, a lot of this issue sets up the most likely candidate for who the murderer is…and then ends with them being the newest victim. So yeah, not gonna lie, I’m not 100% sure I know who the killer is, which is good, because I don’t wanna be a mere two issues and know how it’s gonna end. With that said, I REALLY hope the character of Darshan is innocent as he seems to be, because I find myself really sympathizing with his situation. 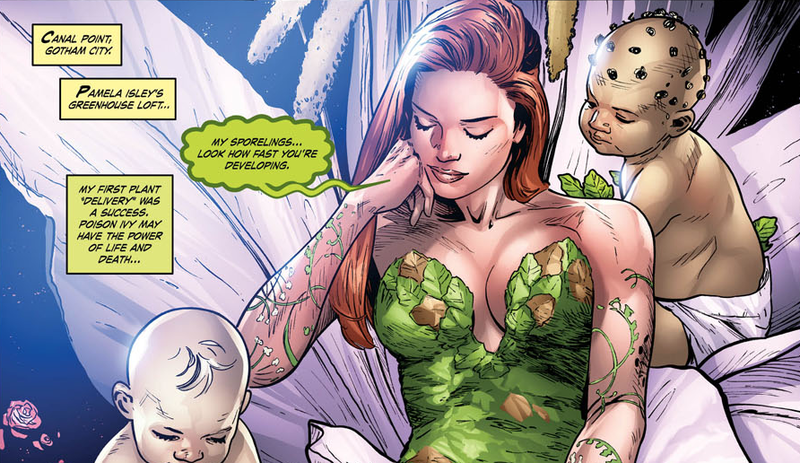 I’m also interested to see where they go with what Ivy’s been working on, although I hope for her sake that it doesn’t end up going where I think it is. And, of course, as always, Ivy is a delight to read. There’s just something about how unapologetically confident she is in herself and what she believes in…Well, minus one point. As it pertains to the cons of this issue, I REALLY didn’t need to see her killing the dog abuser. He needed some kind of comeuppance, no doubt, but Ivy killing him seemed kinda forced, as if to hammer it home that she’s not a superhero. Just came off as completely unnecessary. And while it is nice to see her in a costume that kinda harkens back to her old days, I gotta admit, I’m gonna miss her New 52 costume. And no, it’s not because it covered her up more. It’s just, for situations where she’s shown in a more positive light and oftentimes working with the heroes, it looked like a superhero costume. Again, kinda feels like they’re trying to make it clear she’s NOT a superhero. And granted, she’s more of a neutral, all things considered, and it could just be me wanting to see her eventually transition into being a superhero, but it’s just a little distracting to me. …Please, dear God, don’t let Rebirth be a repeat of some of the crap we’ve gotten in the New 52. Just a little less female objectification and a lot less dark and dire stories…Oh yeah, I’m supposed to be giving my thoughts on that, aren’t I? Yeah, should probably do that pretty soon. But yeah, overall, still enjoying this book, and can’t wait to see where it goes from here. Leave your own thoughts below, and be sure to check back in next month when I review issue 3…Hopefully, a little more on time than this one. lol Ja né!